To study at the "Ecole des Beaux-Arts" in Caen is perfect, but to live in Honfleur for ten years, now there's a school that is irreplaceable. And Jean-Claude Quinette learnt well the exemplary lesson that his native town of Boudin and its atmosphere taught him. He then developed this further through discovering Brittany before moving definitively to his home town and opening his studio. When he paints with oil, his works are solid and carnal, whether they depict beautiful rural landscapes or serene seascapes, not forgetting his surprising and brilliant still-life paintings. 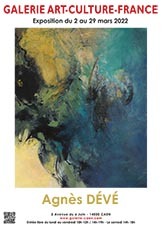 Yet when Jean-Claude Quinette paints with water-colours, it is with such fluidity and poetry. The impact of the picturesque and charming quality of his airy figurative style is delightfully complimented by abounding convincing details. Although his art works may be traditional, they emanate the personality of the artist for whom the science of portraying successive planes takes priority, as does the composition of subjects. He masterfully conveys impressions just how we like them, through portrayals of seasons and the vagaries of time and light. 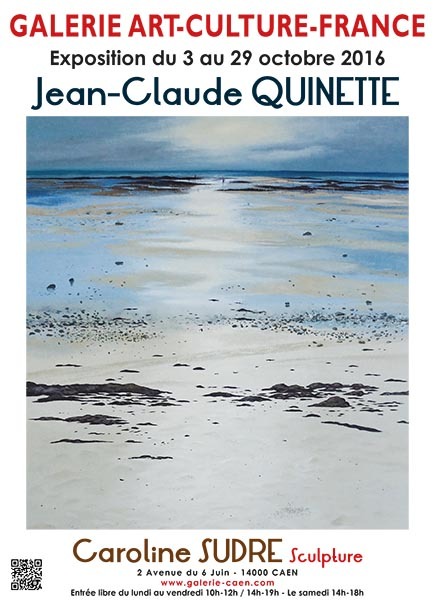 And so, as well as portraying pretty nudes and inspiring floral compositions, Jean-Claude Quinette remains a painter of the seas with their numerous reflections, and of mysterious and captivating skies. And then there are of course his glorified yet faithful depictions of sites that are always chosen with the power and will that it is such an artist's duty to express.